THE MISSION OF MODERN BLANKET TOSS IS TO HELP UNDERSERVED STUDENTS DEVELOP INTEREST IN STEM FIELDS THROUGH THE USE OF TECHNOLOGY THAT CAN DIRECTLY IMPROVE THE WELL-BEING OF ALASKANS. 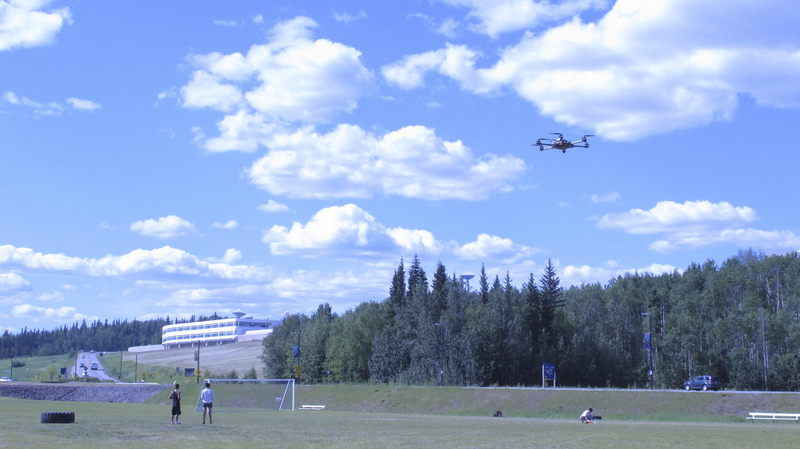 In cooperation with the Alaska Upward Bound program at the University of Alaska Fairbanks, EPSCoR is administering The Modern Blanket Toss, a program where cohorts of high school students from five Alaska high schools engage in place-based learning activities using Unmanned Aerial Vehicle (UAV) and Geographic Information Systems (GIS) technologies, exposing them to the potential for STEM careers while producing concrete benefits for their communities. Click on any of the eBooks below and enjoy the story of the Modern Blanket Toss project in its entirety. The program is arranged into five interconnected components, which are instrumental in the program's ability to reach its desired goals. 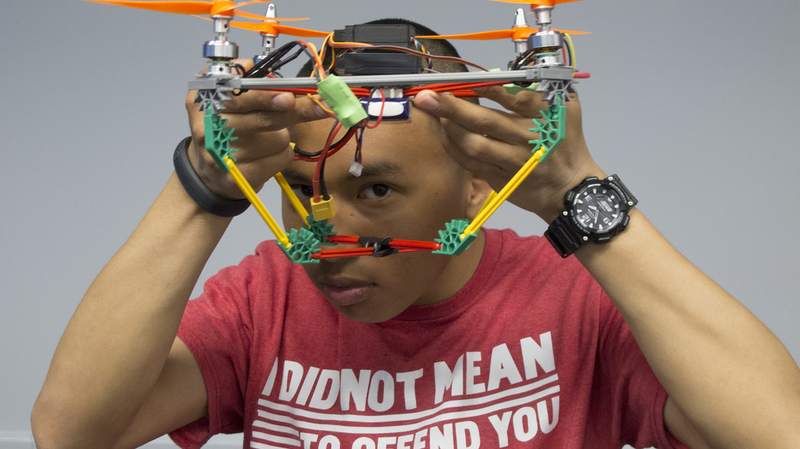 They include UAV Flight School, UAV Hardware and Build, Software, Leadership Training and Communicating Science, and the Community Project. 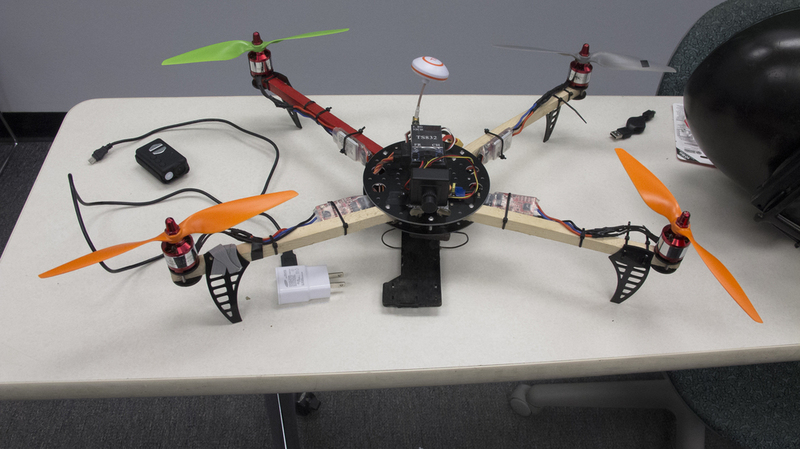 As part of their summer Upward Bound coursework, students participating in the Modern Blanket Toss project will take part in a specially-designed UAV learning module, incorporating construction and flight INSTRUCTION of the UAVs, gis, and leadership. The module will be delivered as an elective class for two hours a day for the duration of the six-week session. Project evaluation will be undertaken by Angela Larson, owner and principal consultant for the Goldstream Group in Fairbanks. 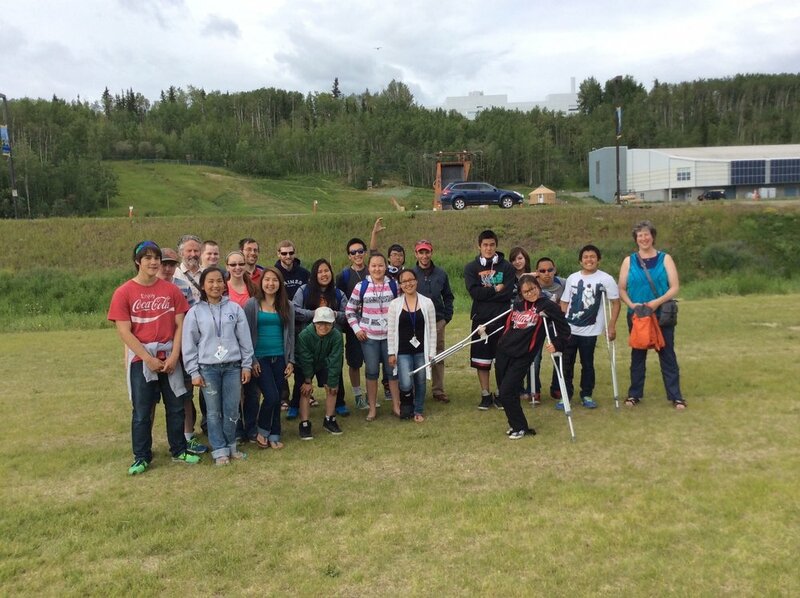 Larson has been evaluating educational programs since 1999 and specializes in K-12 science programs, and has also developed educational projects for the Fairbanks School District and headed the planning and development department of the Fairbanks Native Association. Larson’s evaluation will be based on a logic model developed within the first month of the award, and will include both formative and summative components using a mixed-methods design to monitor measurable outcomes through both quantitative and qualitative approaches. Evaluation will focus on providing feedback about the project’s development, implementation, and outcomes to the project staff and stakeholders to aid in decision-making. The five rural Alaskan communities selected for this project vary widely in terms of location, local economy, population size, poverty levels, racial makeup, and income. 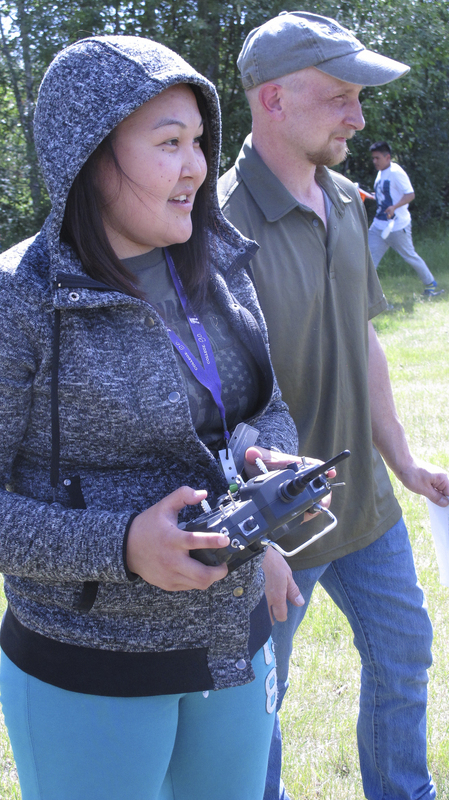 By choosing communities that represent a cross-section of rural Alaska, the Leadership Team will be better able to make comparisons amongst project data and to evaluate how the program will transfer to alternate locations. BETHEL is primarily a Yup’ik Native town off the road system which serves as a hub and service community for dozens of Alaska Native villages in the Yukon-Kuskokwim Delta. Bethel is home to around 6,400 people. CHEFORNAK is located on the south bank of the Kinia River, in a region where the Arctic tundra meets the Bering Sea. In the 2010 US Census, there were 418 people that resided in Chefornak. The culture is primarily Yup’ik and many residents rely on a subsistence lifestyle. Transportation in and out of Chefornak is mainly by small plane, but it also accessible by snow machine in the winter. NIKISKI is an oil and gas town, with on-shore production facilities and offshore drilling platforms in Cook Inlet. The community’s more than 4,000 residents mostly work in and around this industry, and the discovery of oil on the peninsula in 1957 is what led Nikiski to grow from a small homesteading community to what it is today. Nikiski boasts an enviable location adjacent to Captain Cook State Recreation Area on Alaska’s Kenai Peninsula and enjoys views of several dormant volcanoes from town. SEWARD is a city in Kenai Peninsula Borough, that rests on an alluvial fan. According to 2014 Census Bureau estimates, the population of the city is 2,528. It was named after William H. Seward, United States Secretary of State under Abraham Lincoln and Andrew Johnson. In 1867, he fought for the U.S. purchase of Alaska which he finally negotiated to acquire from Russia. Mile 0 of the historic Iditarod Trail is at Seward. In the early 1900s the trail was blazed in order to transport people and goods to and from the port of Seward to interior Alaska. Seward is unusual among most small Alaskan communities in that it has road access in the Seward Highway from Seward to Anchorage, which also brings it bus service. Seward is also the southern terminus of the Alaska Railroad. SHISHMAREF is a traditional Inupiat Native mixed-subsistence village, in which residents combine cash incomes with living off the land and sea. It is located in the Bering Land Bridge Natural Preserve, and is home to around 550 people. It is also located off of the road system, and has a total area of 7.3 square miles, of which, 2.8 square miles is land and 4.5 square miles is water (according to the United States Census Bureau).